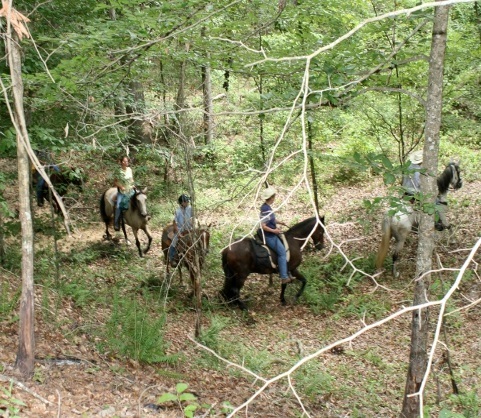 Take a relaxing guided trail ride on tree-lined paths in the Kisatchie National Forest. One, two, or three hour rides for every skill level. Learn to ride and care for a horse. Individual instruction includes beginning western riding, horse care, grooming, health maintenance, and training using "natural" horsemanship techniques. Prepare for horse ownership or just improve your understanding of the nature of the horse. All ages are welcome. Planning a get-together or re-union? 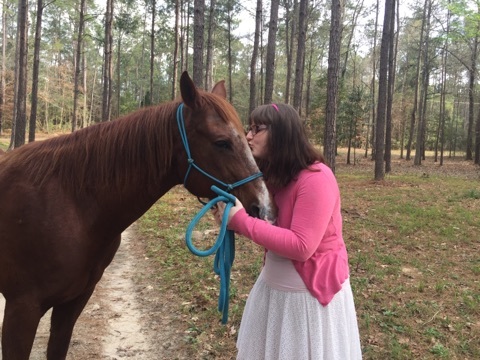 Enjoy equine activities in a beautiful forest setting. Take a romantic ride for an anniversary; give a loved one a special gift of a birthday ride; or treat your party guests to horse and pony rides. Rediscover your love of horses.. Remember your first pony? The thrill of a canter across a meadow, the softness of it's nuzzle? The best friend who always listened patiently and sometimes bore your tears on his mane? You can re-live those moments, even though you may not be able to own a horse at this stage of your life. Let us connect you with your new best friend. Whether your dream is for a long ride in the native forest or just to pet a pony, we can make it come true. Great for beginners and for "returning" riders, young and old.